As a drummer, you’ll eventually become obsessed with the quality of drum sets. You probably want to try them all and so do we! 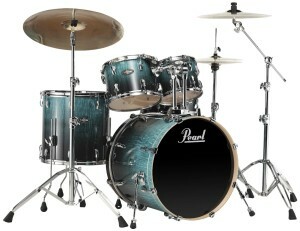 We’ve figured out the top 3 best drum set review; drum sets under a thousand bucks. The sets included in this article are all high-quality sets and probably the best sets in this particular price range. 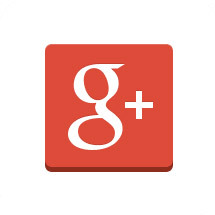 We’ve had gained practical information about the sound, material quality, and looks. At the bottom of every review, we’ve assigned a grade representing each drum set individually. 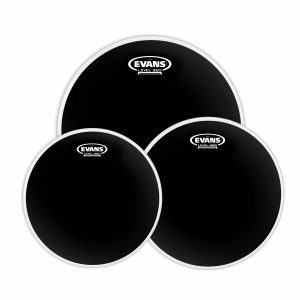 Our goal was to find three sets that are right for every drummer but cost less than professional sets. However, these sets can definitely be considered as “pro-quality” sets and they can be used not only as practice instrument but also as the set for live gigs and studio recordings. Electronic drum sets are slowly but surely conquering the world. They are now more important in the music industry than they used to be. Electronic drum sets are probably going to overcome the popularity of the acoustic drum kit in the electronic music industry. 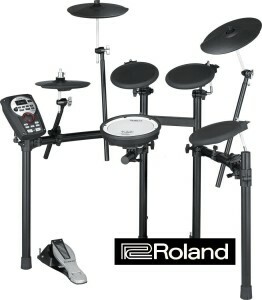 That’s why we’ve established our top 3 best electronic drum set review. 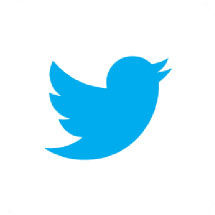 Follow the review carefully to find out, which electronic drum set fits you best. 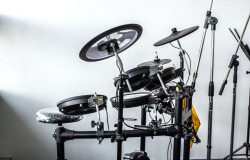 But first we’ll go over some of the benefits of owning electronic drums. 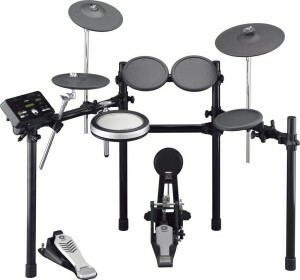 Owning an electronic drum set has several major benefits compared to owning an acoustic drum set. The first big benefit is that the electronic drum set does not produce any noise. You can play the drums while wearing headphones, so your music will not disturb anyone. The second big benefit is the fact that you can play different drum sounds on one drum kit. You will be able to choose and combine different sounds using the onboard drum computer. You could go from a jazz kit to a rock kit whenever you want. What is a drum without its head? That’s right! Nothing! You won’t be able to play on it if your drum isn’t equipped with a head. The drum head is crucial, it defines the way your drum sounds. If you buy a fresh drum kit it is probably going to be equipped with new drum heads, but there will definitely come a time when you have to change your drum heads. 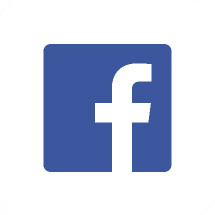 At this point, different questions may come to your mind “what are the best drum heads?” and “how do I install them?”. Don’t worry, we’ve established a list of drum heads you can choose from and we’ll tell you exactly why they made it to our list. But first let’s talk about the drum heads themselves. The drum head is the part of the drum that vibrates, creating sound. Traditionally drum heads were made out of animal skin. But a natural skin is very susceptible for heat and humidity changes, so nowadays most of the drum heads are made out of modern synthetic materials. Today’s drum heads are usually made out of polyethylene terephthalate- a synthetic material that is also used in soft drink bottles. Several sheets of the material are loaded into a press that applies 75 tons of pressure to shape them. A drum head consists out of one or several layers, the layers get be added by hand. Every drum head has plastic tape around the edges. Then the heads go into a computer-guided drill that drills holes on the perimeter of the skin. The holes are barely the size of a nail head and spaced around a quarter inch from each other. After this step, the heads go into the next machine which applies heat to the edges to mold the heads into shape. Then, it’s time to add the aluminum strip that keeps the pressure even. Some drum heads get a texture coating to make them sound different, and then they are ready for shipment. Drumming machines can be used in many ways. They can be used not only by drummers but also by producers, guitarists, and bassists. Some, for example, guitarists, use it to practice their play. They use a drum machine to get their sense of timing right. 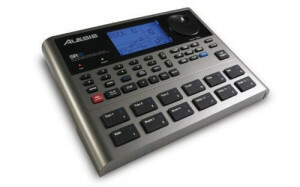 A producer might use a drum machine to record a solid drum track for a song. Whatever your intentions are, we have established the top 3 best drum machine review for you! Electronic drum kits are starting to take over. The role they are playing in the music industry is getting bigger and bigger. Everyday we hear new music produced with the help of an electronic drum set. The last thing you want to do as a beginning drummer is spend a fortune on a drum kit, but you still want to keep practicing. It’s irrational to buy an expensive set right of the batt, you probably can’t play that well and you’re still learning. On the other hand, not owning a drum kit will seriously influence your learning curve. 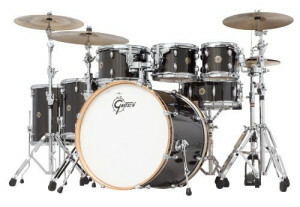 To help you out in this situation we’ve chosen our top three beginner drum sets. The snare drum is one of the most important, part of a drum kit. It has a unique sound and creates the foundation of a beat along with the hi-hat and the kick. 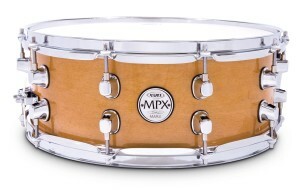 Snare drums have been around longer than complete drum kits and they also are used more often. 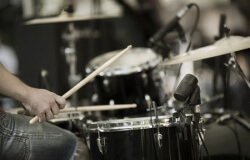 Practicing the drums usually starts with practicing on the snare drum only, to develop feel, rhythm and coordination. The snare drum can be played by itself, you can see the snare drum acting alone in for, example, marching bands. Drum kits have been around for ages and the amount of manufacturers on this planet is incredible. 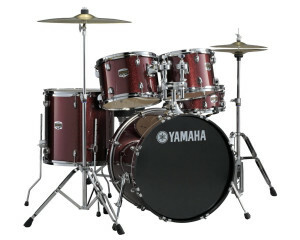 The high amount of manufacturers means that there are a lot of drum sets available. Some drum sets are better then others, but which are the best drum kits? We could tell you that the all gold Roger drum set from 1975 is the best, or we could tell you that the $20.000 hand made Pearl set is the best. Drum sticks are an essential piece of equipment for every drummer. A drummer without his sticks isn’t even a drummer. That’s why we present you our pick for the best drum sticks. A good pair of sticks isn’t the first thing a drummer is concerned about, sticks break and get damaged easily so why invest money in a good pair of sticks? Well, the sticks you play with may have more impact on the sound you produce then you initially thought. The main reason why there’s so many sticks available on the market is because each and every type of stick creates a different sound.